Insufficient space in the country's oil pipelines has deepened the discount Canada's heavy crude can attract from U.S. refiners, compared with U.S. light oil futures. "If you don't have the major infrastructure, investors are going to go to your neighbor, where infrastructure is not an issue," said Organization of the Petroleum Exporting Countries President Suhail al-Mazrouei. "Act and act quickly if you want to retain those investors. I am being frank because I want to be a true friend to the Canadians." "I don't want them to lose opportunities." 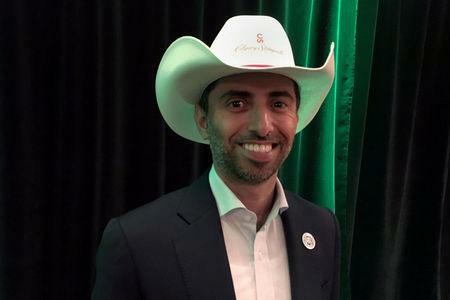 Mazrouei was speaking in Calgary at a TD investor conference during the city's Stampede, an annual rodeo that is also the year's major meet and greet for Canada's energy sector. Mazrouei, the United Arab Emirates' energy minister, also singled out Canada's low-priced natural gas. Much of it is produced in landlocked Alberta, and the country lacks a robust liquefied natural gas (LNG) export sector to consume it.